Every time Google releases a new update or change to its algorithms, you can almost hear the groans of countless webmasters across the world as the realization of this sets in. The most common side-effect to any algorithm change by Google is a sudden and substantial drop in traffic. Without a steady flow of visitors to your website, you will suddenly find it difficult to earn revenue or justify a consistent stream of updates. Some people saw reductions in traffic when Panda updates were made in September, while others experienced a rebound from previous hits earlier in the year. Whatever the case, you shouldn’t assume that the trend will last forever. Below, we’ll discuss how to prevent future damage from Panda, so that you can be proactive about finding solutions. The best way to understand how you may be impacted by Panda in the future is to be aware of the three types of tweaks and variables that may exist on your website. When it comes to Panda (or any major algorithm update by Google), there are three areas: the first is the Danger Zone, which are areas and tactics that will result in traffic being nerfed when deployed. This will have considerable overlap with what we call “black hat SEO”. The second area is what many would call the Grey Area, which is an area where some exploitative tendencies may exist (but have not yet been penalized by Google). The third and final area is the Safe Zone, and obviously refers to tactics and optimization measures that are in no inherent risk of being penalized. Based on the history of Google’s algorithm changes, we can get an idea of where each potential action might fall in the future. For instance, we all know that pinging links in a way that resembles spam can quickly hurt your rankings. Using keywords to constantly aim for select SERPs falls into the Grey Area we mentioned, as we’ve seen search engines move against this overt strategy to a degree (though most have not suffered when using keywords in a conservative fashion). Optimizing meta data, improving link structures and ensuring proper page speeds are all examples of Safe Zones tactics that can push you higher in the rankings, and are very unlikely to ever be considered negative. If you want to keep an eye on potential hazards as they develop, then you need only review a few simple things. The first is to always be proactive about analysing from where your traffic originates. You can use Google Analytics or a comparable program to see which your top landing pages are. Inspect the amount of traffic you receive from mobile devices versus overall traffic. If there is a sudden shift in this ratio, then something has happened. Occasionally, you should perform a crawl of your website to make sure that you are pinging links to search engines and are also finding your best-performing pages. This will help you weed out ineffective or potential harmful content. 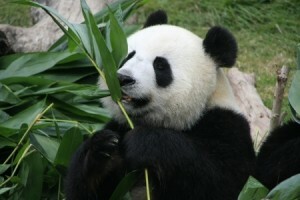 The only certainty surrounding Panda or any other Google algorithm change is that the future will bring more changes. By being in the know about subtle changes occurring on your website and via its traffic, you’ll be able to spot potential problems before they become large ones.